Reason One: It gives them a taste. If you’ve been to Costco or a farmer’s market, you see this all the time. A player is much more likely to make a purchase if they know for a fact that they’re going to like it, and nothing sways a decision like first-hand experience. If a player is on the verge of buying something, a positive memory could be the deciding factor. Reason Two: It creates a mental exchange rate. This is a little trickier to explain, but here goes. If I’m playing a game and I look at the store, my mind filters the store’s items into two categories: Soft currency items and hard currency items. I separate the game’s items into “Regular items” and “Items for people who pay money.” If there’s no method to gain hard currency for free, and the game has yet to convince me to pay, then those hard currency items don’t even occupy my mindspace as something I could buy. However, if I do get a slow trickle of hard currency, I can’t really ignore those premium items anymore. Something happens to the way I process that information. The hard currency doesn’t just have a dollar amount tied to it. The hard currency also starts to represent time spent playing the game. Here’s an example: Clash of Clans is the number one top-grossing iOS game right now. You can build structures, but those structures take time to build, and you can only have as many active construction projects as you have Builder’s Huts. Buying a third Builder’s Hut costs 500 gems. You can pay $5 for it, but you can also slowly earn those gems over the course of days or weeks. 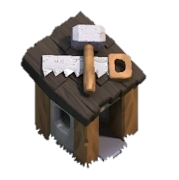 That third Builder’s Hut is no longer something “for paying players.” It’s a thing that anyone can get if they put the time into it. A player starts having to ask themselves if it’s worth spending weeks grinding in order to save $5, and the answer is obvious. Would as many players convert into paying players if gems couldn’t be earned and they never had that mental exchange rate? I have my doubts. Six Chamber Hoedown is a game I made for Insanity Jam 2, a game jam with the goal of producing a game based on a random game concept. It’s currently up for voting. A game patterned after those scenes in old westerns where one guy says “Dance!” and shoots at the other guy’s feet. Mix that with twin joysticks, and you get a DDR-style game about jumping over shots. I took some inspiration from the old Ballad of Black Mesa video and decided to create a song made entirely out of gun percussion. 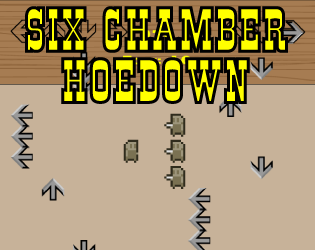 Six Chamber Hoedown took about 10 days to make in Game Maker. I learned a lot about using Game Maker, and overall, I’m pleased with what I created. It might be fun to revisit it and make more involved levels, but I think what I have now stands well on its own. 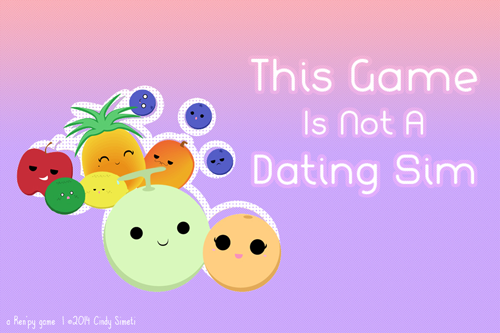 Also, you should check out This Game Is Not A Dating Sim. It’s another Insanity Jam 2 entry, and it looks really cute!